© 2018 Membership Marketing Support Services. All Rights Reserved. Give us a call or send us a message to learn more or get started with Loan Promotions. Our Auto Loan campaign series is a great way to inform your members about your credit union’s Auto Loan offerings. Some members might not be aware that they could finance their new, used, or current vehicle through their credit union with a lower interest rate! Each campaign includes a postcard, poster, banner, insert or brochure design that can all be customized with your logo, contact information and loan details. MMSS’ Back-to-School Loans are a great way to give your members the opportunity to increase their cash for all of their school needs. Whether they’re going to kindergarten, high school or college, they’ll have the cash for the supplies they need. See our design selections below and customize with your rate, terms, contact information and logo. Each design has a correlating banner and poster for marketing your promotion at your credit union location(s). Managing loan and credit card payments can be a hassle for your members. It also takes organization, time and may even cost members more than necessary to pay down their debt. It’s always a good time to reach members and help them make improvements to their financial lives. Sending a postcard to members with your personal loan offers will show them how they could combine their debt into one easy monthly payment. Holiday Loans will help your credit union grow loans and give your members that extra holiday cash they’re looking for. Each campaign is designed with multiple marketing pieces to get your message out in time for the holidays. Like all of our designs, they can be customized with your logo, contact information, and specific details if any. Get started today and make this holiday season brighter for you and your members! Home Equity Loans are always in need. They’re a great offering to your members anytime of the year. Customize your campaign of choice with your logo, contact information, rates and terms. For more designs or for a custom design, please contact us today! Vacation Loans are a great way to increase your loan income, especially when it’s vacation time! Your members may be looking for that extra cash to get away, and you have the answer! Each campaign is designed with multiple marketing pieces to get your message out there. Like all of our designs, they can be customized with your logo, contact information, and specific details if any. Get started today and give your members that vacation they’ve been waiting for! Check out some of our loan postcard designs! Fill out the form below to speak with a Marketing Consultant or to get started. 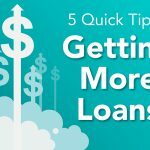 5 Tips to Getting More Loans. 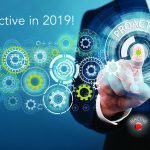 The Marketer’s Resolution: Be Proactive in 2019!